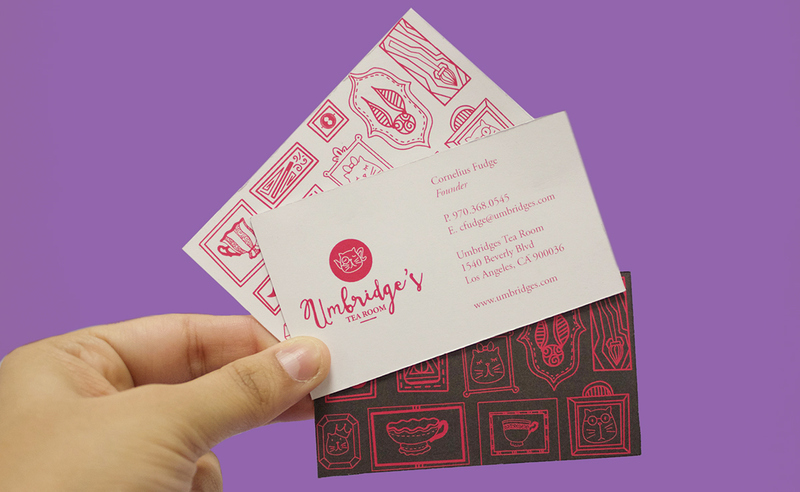 Objective: Develop a brand identity for a restaurant based on a famous artist or character of your choice. 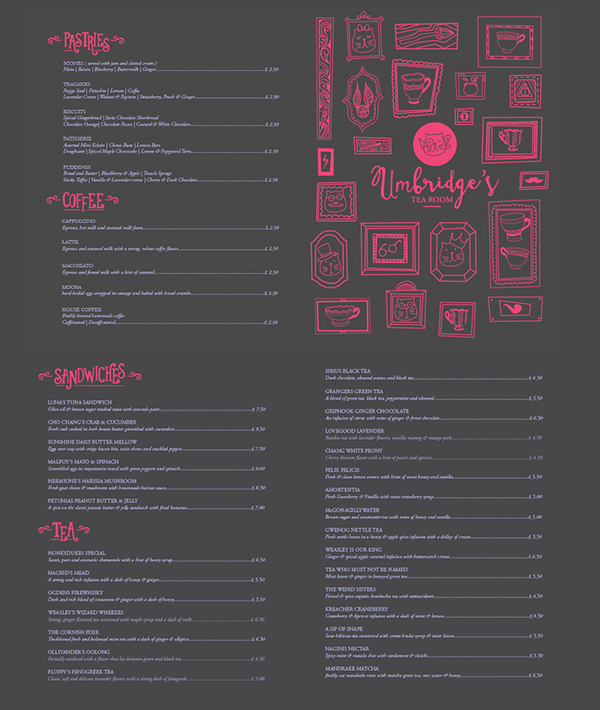 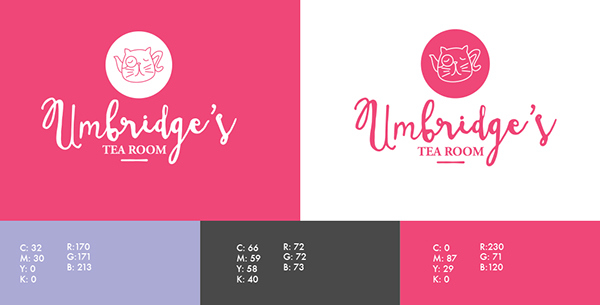 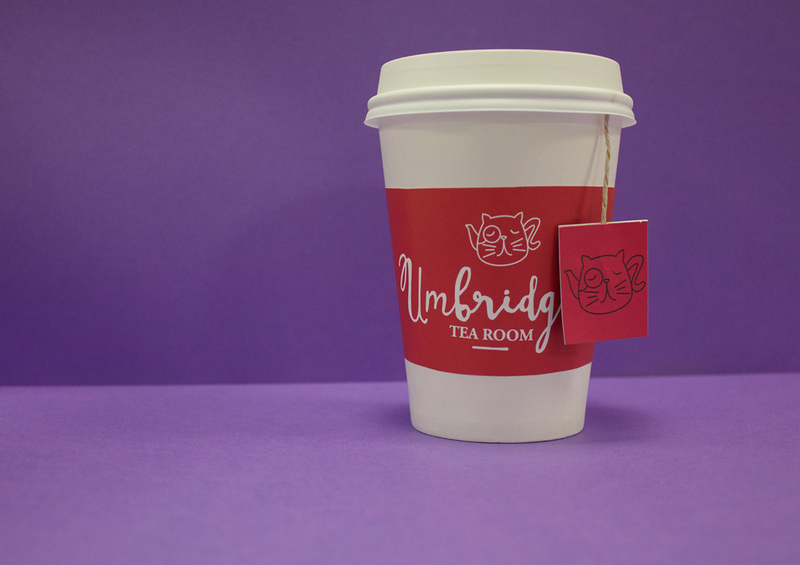 Umbridge's Tea Room is a quaint cafe style tea shop that is based on the character Dolores Umbridge from the Harry Potter Series. 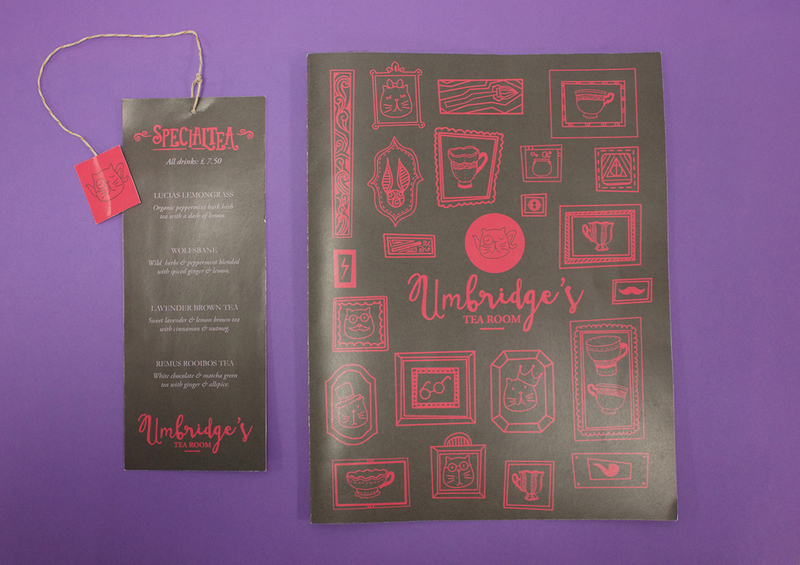 For the project, I had to develop the logo and identity as well as a menu card. 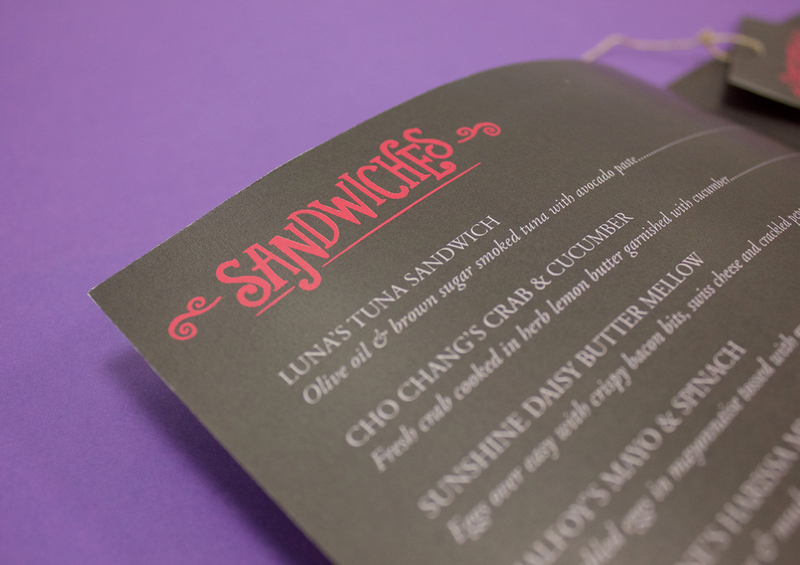 Original illustrations were created and the headings were hand lettered. 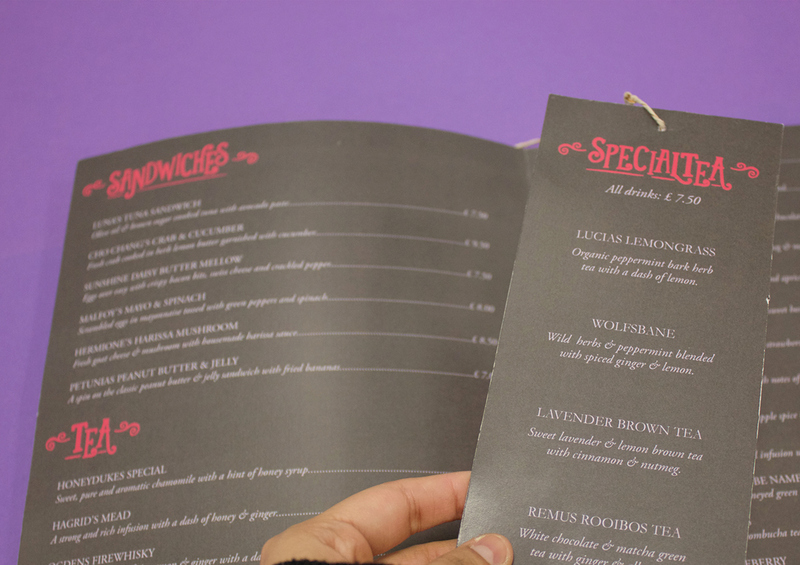 Objective: Develop a brand identity for a restaurant based on a famous artist or character of your choice. 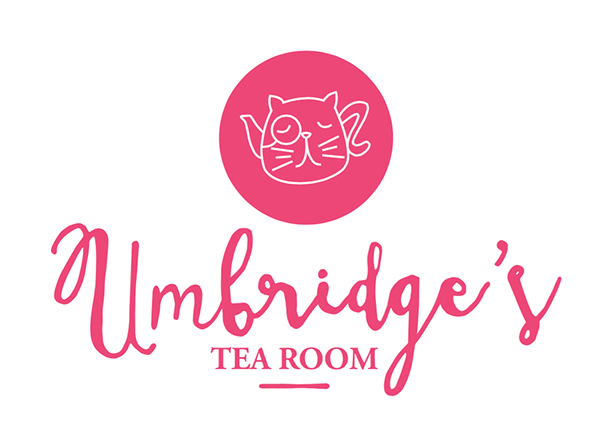 Umbridge's Tea Room is a quaint cafe style tea shop that is based on the character Dolores Umbridge from the Harry Potter Series. 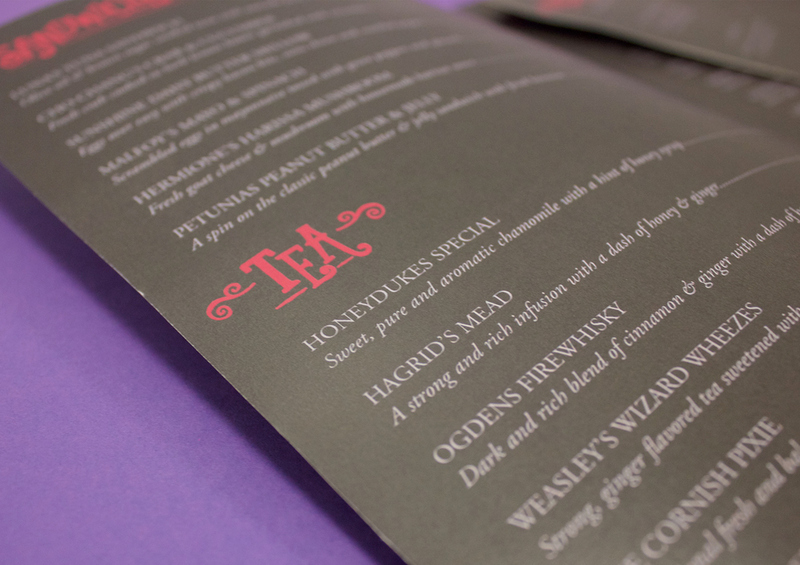 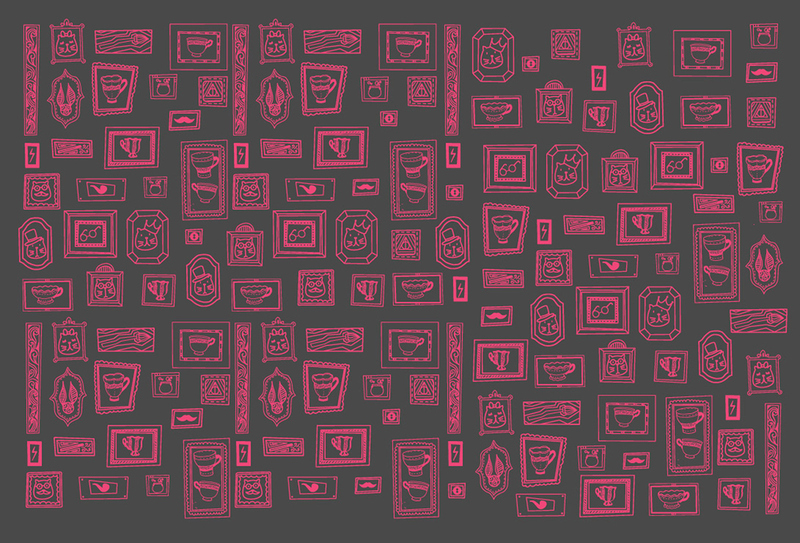 For the project, I had to develop the logo and identity as well as a menu card. 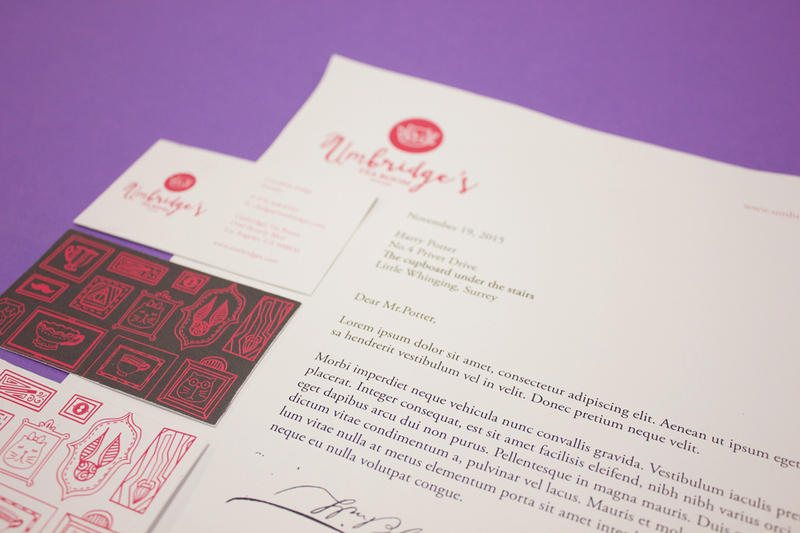 Original illustrations were created and the headings were hand lettered.